Nicole digs into the latest report from NOAA that says July was the hottest month on record, ever! The new Quinnipiac poll is out and it's not looking great for Hillary. Julianna Forlano joins in to help recap the week's news, including the new little pink pill for women, and the Ashley Madison hack. It's a Flashback Friday double-header with Graham Parker from Nov 1996, and Fastball from 15 years ago today! Nicole Sandler has the latest on the Ebola scare and the rest of the day's news. Vice News' Jason Leopold tells us about his latest trip to Guantanamo Bay. 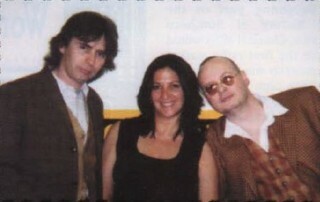 And we rock into the weekend on Flashback Friday with Nicole's 1999 interview with The Jayhawks and Old 97's.